Color is automatically determined by a color Palette. 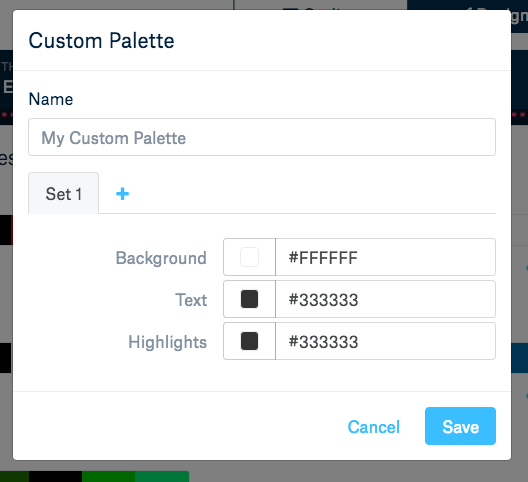 You will find a list of Palettes with different color combinations, in the Design editor. These combinations, or Color Sets, are designed to ensure a good result and make things easier for you. You'll find the Palette button on the top side of the Design editor, to see the list of available options. Colors will be automatically applied through all slides, using the different combinations to ensure variety. You can change the color combination for each individual slide, with the different Color Sets. In order to change color in a slide, go to the Settings button next to the slide and change the Color Set. This change will apply only the current slide. If you're a Premium subscriber, you'll be able to create your own custom Palette and handpick your colors. Within the Palette list, scroll all the way up and hit the "+New" button. Your palette can have up to three Sets, each set can have three different colors. Choose your colors for specific content block: texts, backgrounds, and highlights. To set up a color in the palette, just click on it, or type in its HEX code. 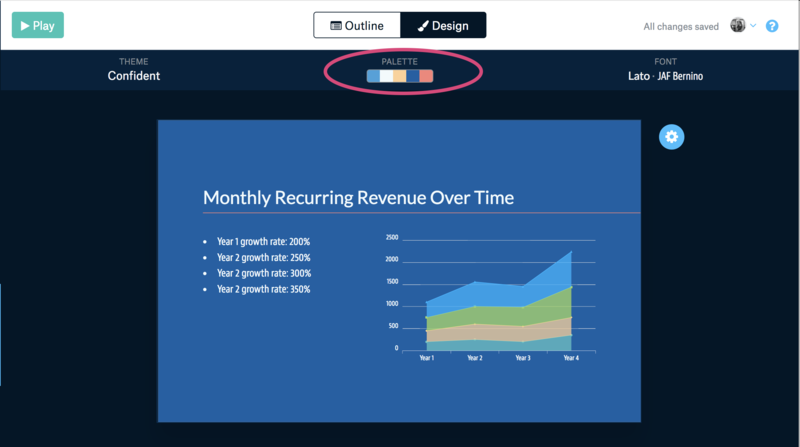 Once you have your palette and it's color sets, you can change colors on a specific slide. In the Design editor, you'll find the "Settings" button at the side of the slide. Click on it and change the Color Set available in the options.